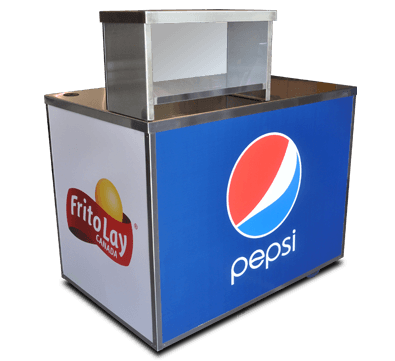 Sell a variety of snacks or merchandise from this portable merchandise cart. 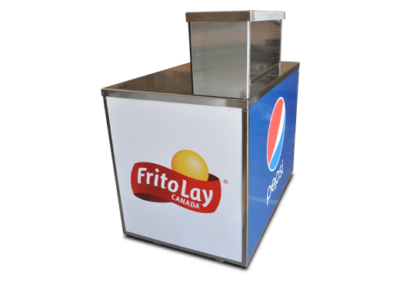 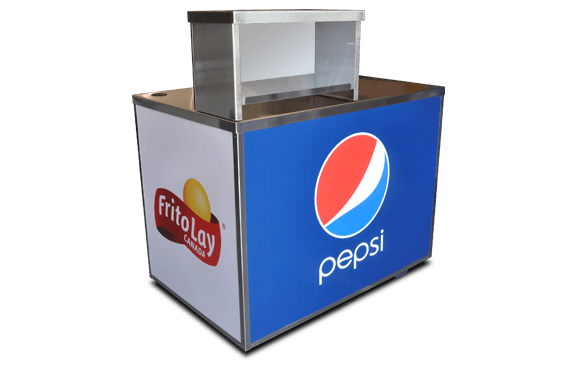 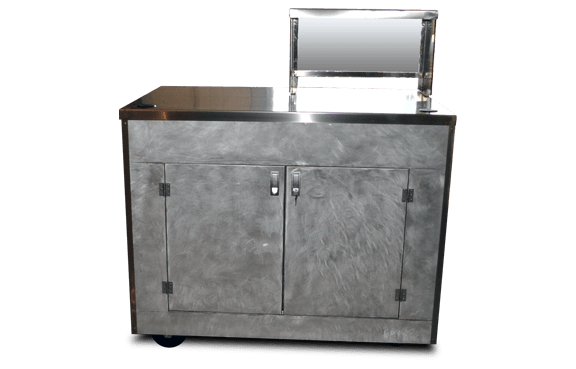 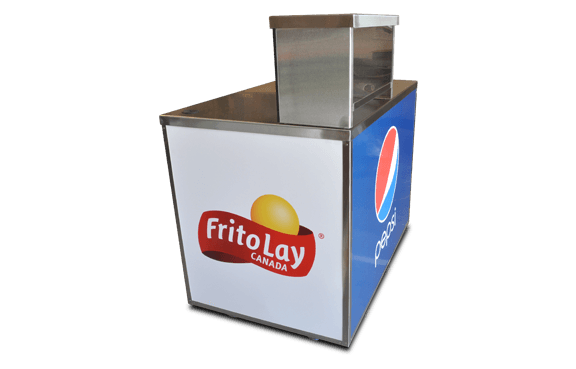 Custom options let you design this cart to match your existing concession cart configuration or use it as a stand-alone kiosk. Graphic area on 3 sides (graphics printed on back side of acrylic panels for scratch resistance). 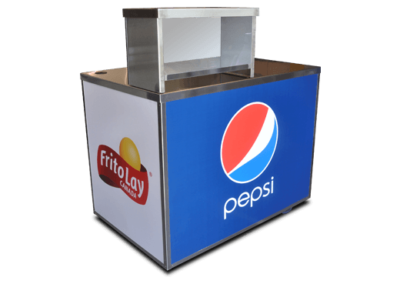 Textured surface on service side. Additional options are available. 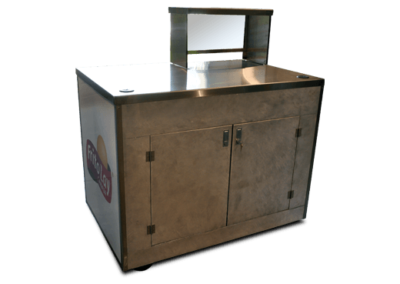 When requesting a quote, please indicate if there is any additional equipment you are interested in.